Prodigy Vinyl Siding delivers all-weather protection and superior performance while saving you money on monthly energy costs. With 1-½ inches of EPS insulating foam beneath a full line of insulated trim, Prodigy blankets your home with the most quality protection on the market. Prodigy’s one-piece contoured insulation system locks into the siding panel, which generates a level of strength capable of resisting even the most extreme weather conditions, including hurricane-force winds. Combine this with a interlocking panel design and structural independence and you understand why Prodigy is the most efficient siding product we offer. Prodigy Vinyl Siding comes in a variety of color schemes, which allows you to select a siding product that best fits your home’s decor. Choose from 21 deep, rich colors – all of which employ ChromaTrue’s fade-resistant formula and require a simple, occasional wash to look good as new. 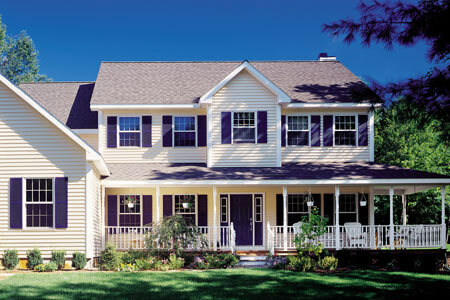 Learn More About Prodigy Siding Today! Looking to give the exterior of your home a serious facelift? 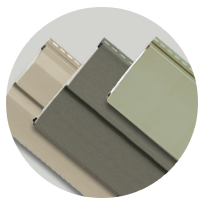 Contact one of our siding experts today to learn more about our Prodigy Series Siding!